9486 Ivanhoe Street, Angola, NY.| MLS# B1171860 | Chautauqua Lake Real Estate. Specializing Chautauqua Lake helping Buyers and Sellers since 1985. 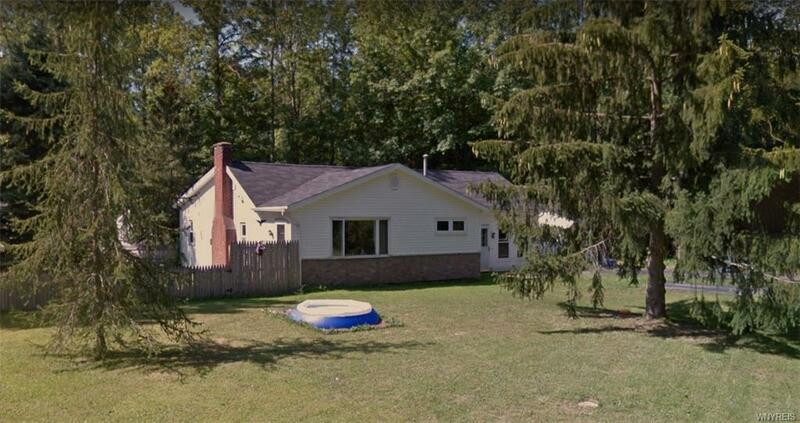 This 2 bed 1 bath home is situated on a large private wooded lot, surrounded more by nature than neighbors! With the living room, and family rm each offering a ton of natural sunlight through their large picture windows, a spacious eat-in kitchen and 1st flr laundry, the potential here is truly endless! There'll be plenty of room to add the garage of your dreams with the neighboring 40x100 lot being purchased by seller! Located in Point Breeze, your a only stone throw away from the beautiful beaches of Lake Erie, and Evangola State Park. Daily commute? Take the scenic route to work! Just 30 mins down Old Lake Shore Rd. to the city. These breath-taking views will have you looking forward to your drive every day. If you're looking for that quiet laid back beach, life this one is for you! Directions To Property: Do Not Follow Gps! Ivanhoe St Becomes Impassable Before You Reach The Property. From Buffalo: Route 5 West ~ Right On Herr Rd ~ Left On Jamestown ~ Left On Roanoke ~ Home Is Located @ The Corner Of Roanoke And Ivanhoe St.